Risk Appetite in context of Insurance companies is the amount of risk the insurance company is willing to take to get an optimum risk return balance in their investment portfolio. It is obvious that large companies can accept large risk, small can accept small so what’s difficult, why companies are not able to take the optimum risk according to their capacity. How it works? 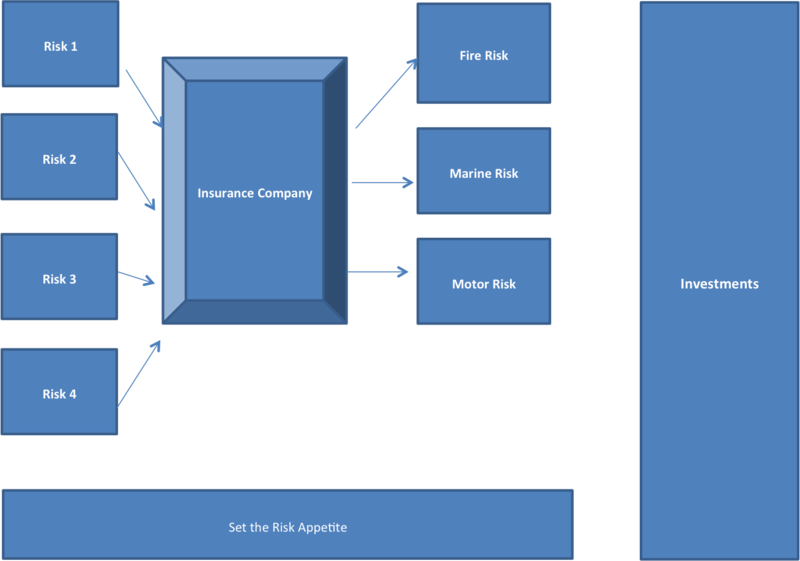 Insurance companies accept the risk of individuals/corporate and makes different portfolio of risk eg: fire, marine, motor etc. The Premium for portfolio of risk is invested into the chosen set of risky assets. Good Risk Appetite statement reflects upon the company’s decision making to take in controlled and orderly manner which will produce profit. Good Risk appetite statement linked to good strategy can save companies from crisis. Do check your appetite before taking decisions as you take in case of eating food also – overeating makes you fat (In case of insurance companies makes your portfolio risk, provide losses), malnourishment makes you weak (in case of insurance companies, less business makes your survival difficult in the market). Same applies when we buy a car, when we buy a Maruti 800 small car, it’s really risky to drive it at the speed of 140 km/hr; while if you buy Mercedes Benz, it is average risk to drive at same speed on a reasonable safe road due to built-in safety feature. “Eat, drive and accepts risk carefully according to your appetite”.